About Area Heating & Cooling, Inc.
Area Heating & Cooling, Inc. was founded in 1975 by Marlin Tillman. Mr. Tillman built the business by himself, with just a few employees, while working out in the field installing HVAC equipment. By 1986, through earning the trust and respect of local builders and residents, Mr. Tillman was staffing three separate departments: service, retrofit, and new construction installation crews. Marlin's business ethics demanded treating his customers and employees with honesty, while always standing behind our work and ensuring customer satisfaction. Mr. Tillman’s dedication to his business was respected by all, and he formed a leadership role in the community. In 1988, Marlin hired Tina Blackmore and Swaran Battan to operate and manage the administration side of his business. Tina, freshly out of high school and Business Trade School, was born and raised here in Clark County. Both of her parents were self-employed, and Tina was raised on a farm with strong work ethics. Swaran started working at Area Heating & Cooling, Inc. in her early twenties, and was born in the Fiji Islands. Also raised with entrepreneurial parents that owned a local bus transit business, Swaran possesses the same strong work ethics as Tina. Our Sales Team is ready to assist you! 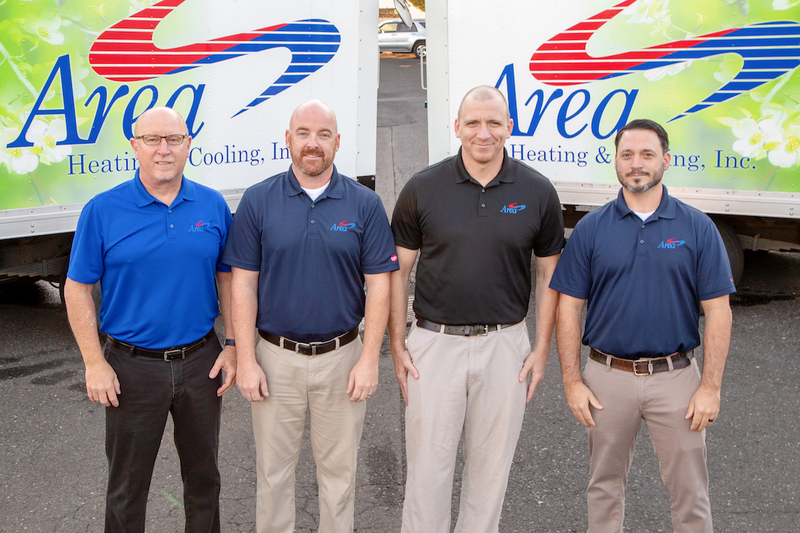 More than 40 years since the founding of the company, Tina Blackmore and Swaran Battan are the proud owners of Area Heating & Cooling, Inc.. We continue to deliver the same exceptional service that was established by our founding ownership. We are serious about offering the "Area Advantage," and we guarantee that you will not have the "typical" contractor experience. We pride ourselves on offering outstanding customer service at every level, and have trained our staff to ensure that every customer "feels the difference". We continually strive to serve our customers as an industry leader, and to provide quality craftsmanship with our residential HVAC installations, services, and repairs. Being locally owned and operated, we are honored to bring employment opportunities to 48+ families in Clark County. Many of our employees have been with us for 20+ years, and most of our staff was raised here in Clark County. Our local roots are deep, and we focus our business in Clark County and Cowlitz County. This assures our customers that they will be treated like our neighbors – because they are! We believe in supporting our community and have been a major contributor to Operation Warm Heart, a Clark Public Utilities charity helping those limited income families with their power bills during peak seasons. We also sponsor the American Lung Cancer Society, Special Olympics, Local Youth Team Sports, and the Susan B. Komen Foundation. When you invite us out to and into your home to service your comfort needs, we treat that invitation as a privilege. Our focus is not simply on offering the best products and systems available. We do supply outstanding equipment, of course, but that is not our product. Our product is the expertise and problem solving skills that we bring to every job that we take on. This is the core and focus of every department and every staff member on our team. We don’t mean to boast, of course. We just want you to know that we’ve been recognized for the outstanding service that we have to offer. Even so, why not see for yourself! Give us a call if you’re in the area. We’ll be here to handle the heating, air conditioning, indoor air quality, and home performance services that you need.